Solid Signal is your fiber cable headquarters! Fiber optics are a big part of any new commercial installation. They get information from place to place faster and more efficiently than copper wiring. It’s also less expensive and easier to implement than ever before. However, there are some truths about fiber optics that are impossible to ignore. Fiber costs less than some of the cables it replaces, because one small strand can carry so much information. However, it’s still more expensive than copper because of the extremely high standards that fiber’s built to. There are two different types of fiber — single mode and multimode — and it’s essentially impossible to convert from one to another. 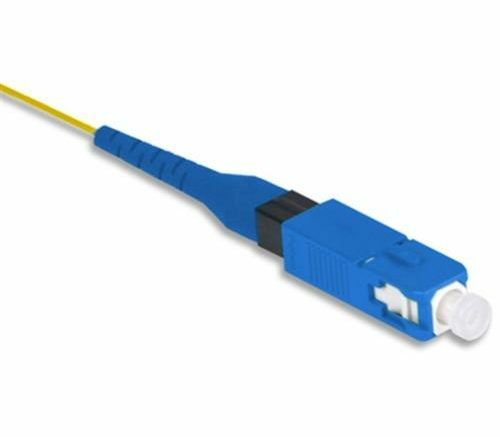 There are many different kinds of connectors, and while it is possible to put a different connector on a strand of fiber, it takes a lot to make it happen and the equipment to do it is very expensive. An average person with an average amount of experience can put a new connector on a piece of coaxial cable with about $30 in tools. However, it often takes a $1,000 tool and a lot of practice to properly “connectorize” a piece of fiber. Coaxial cable isn’t really very forgiving, but fiber is another whole level. It’s very easy to ruin a strand of fiber if you install it wrong, and that means you have to be very careful. Second chances aren’t easy to come by when you’re installing fiber. The key to success when installing fiber optics is getting the right stuff to begin with. You need to find out what sort of fiber optic cables you need. You need to make sure you have the right connectors in place and that the fiber is just the right length. Because fiber has much lower loss than coaxial cable and information travels at nearly the speed of light, it’s often ok to have a slightly long strand. On the other hand it’s a lot harder to deal with a strand that’s just a little too short. You have a friend in the business. At Solid Signal, you can find thousands of pre-made fiber jumpers. There’s something for almost every need. If you look through our selection and still can’t find the right cable, don’t despair! We have an lab that creates fiber jumpers and other commercial cables for custom quotes. All it takes is one call to Solid Signal at 877.312.4547 to get everything you need. What is a polarity locker? Tablet or Laptop? Which is Better for You?